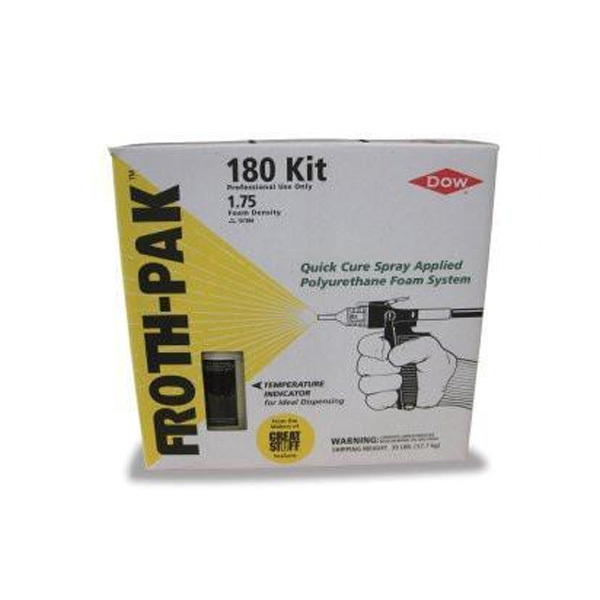 Two-part foam kit that is used to fill and insulate large voids or surfaces. Comes complete with gun, hoses and eight tips. Covers 210 Board Feet. Proper use of a respirator and protective clothing is recommended for application of this product. Due to hazardous fees, this item may ship via semi. Gun & Foam Cleaner is a cleaning aerosol for use on SoudaFoam D&W. It can be used to clean gun applicators and valves or to remove uncured foam.